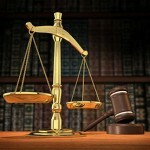 Simeone and Raynor, LLC are your will contest attorneys in NJ. When seeking to contest a Will, Trust or other testamentary instrument, a client should promptly seek counsel to represent them. Under New Jersey law, a resident of this state, generally, only has FOUR (4) MONTHS from the date the Will is admitted to probate to institute litigation in order to challenge the validity of that document. Because of this limited time frame, when suspicious activity arises, such as a refusal by an executor to produce a copy of the decedent’s Will, individuals are encouraged to move quickly to protect their rights. Read more.